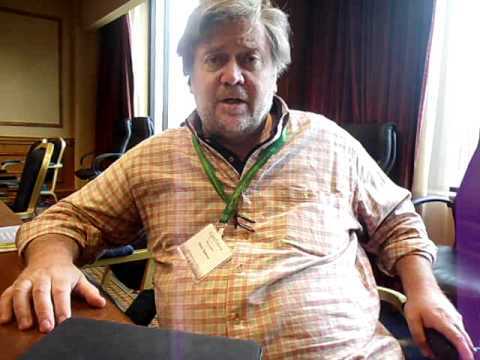 With White-Nationalist, Stephen K. Bannon, now at the helm of Trump's presidential enterprise we are informed that the campaign will now be all negative, all the time. At the center of the anti-Clinton campaign is likely to be Peter Schweizer's magnum opus, Clinton Cash. Schweizer is president of Bannon's non-profit, Government Accountability Institute. Clinton Cash has its shortcomings. But first consider this. The reason that we are able to know so much about the Clintons' finances is the simple fact that their joint tax returns have been public for many years. Those tax returns coupled with the publicly disclosed tax returns of the Clinton Foundation provide a groundwork for analysis. Without those filings there would be no Clinton Cash. That vast amount of information is Mr. Schweizer's undoing. Admittedly I am biased but this observer cannot be the only person to appreciate the fact that someone who refuses to make his tax returns public — as is the custom for presidential candidates — is using the publicly disclosed tax returns of his opponent to attack her. Furthermore, Trump has consistently lied about the reason for not releasing his taxes for public scrutiny. The fact that he is being audited is irrelevant to disclosure. In addition to the lie, Trump must think that everyone is stupid. It is a lame excuse. In point of fact Trump does think that everyone else is stupid. Secondly, whatever you think of the Clinton Foundation, it is undeniable that it has infused needy causes with hundreds of millions of dollars. Trump's philanthropy is very questionable. Most accomplished business leaders are involved in charitable causes with no personal or promotional benefit. That doesn't seem to be the case with Trump. He doesn't even fund his own foundation. There remains not an iota of evidence that Hillary Clinton did anything improper at the State Department due to contributions to the Foundation. A piece in the New York Post (owned by Murdoch's News Corp.) repeated many of Schweizer's baseless claims. My analysis is here (I bumped it up in the stack because it seems very topical). When I reviewed the matter I purposely did not rely on anything coming from the Clinton campaign. It was entirely based on what I could ferret out from publicly available information. However, I was remiss in not providing a link to the campaign's response to Clinton Cash. I referred to Mr. Bannon as a White Nationalist. That's not hyperbole. Bannon would probably admit that Breitbart is an Alt-Right organ. I'm sorry but Alt-Right is just a polite way of describing White Nationalism. If you happen to be a conservative-white-cisgender-heterosexual-Christian-male you're in luck. It seems that Trump has been taking advice from Bannon for some time. Now I will return to covering LGBT issues.